Austin City Limits (ACL), the world's longest-running live music television series, is ringing in the new year with a stunning performance by Coldplay. The first-ever ACL New Year’s Eve special -- a rare 90-minute episode -- is viewable on PBS stations nationwide on Saturday, Dec. 31, 2011 at 11 p.m. (check local listings). Coldplay New Year's Eve: An Austin City Limits Special can also be viewed on demand on pbs.org starting at 11 p.m. ET on Dec. 31, 2011. Coldplay’s second appearance on ACL's stage is another milestone for the historic show and a one-of-a- kind episode with the band’s unique production. “We decided to go big with Coldplay – really big. So we came up with the idea of celebrating New Year's Eve with a 90-minute special. All the hits plus their brand new songs,” said Executive Producer Terry Lickona. “It'll be a great way to kick off 2012!" The New Year’s Eve special comes on the heels of the release of the band’s new album, Mylo Xyloto, which has charted at No. 1 in 32 countries. It also hit the No. 1 spot in all 35 iTunes stores around the world, breaking the record for the highest number of download sales in one week – a milestone Coldplay first achieved in 2008 with the release of Viva La Vida. Mylo Xyloto is Coldplay’s third consecutive studio album to debut atop both The Billboard 200 and the U.K. album chart. The ACL New Year’s special highlights the mid-point of season 37 -- the first season taped entirely in ACL’s new home, ACL Live at The Moody Theater, a full-time music venue and state-of the-art production facility. The remaining five episodes of the season will air in early 2012. Coldplay – comprising Guy Berryman, Jonny Buckland, Will Champion and Chris Martin – has sold more than 50 million records worldwide and won numerous awards, including seven GRAMMY® Awards, six Brit Awards and four MTV Video Music Awards. The band’s last album, Viva La Vida was the No. 1 selling album worldwide of 2008, according to IFPI. Austin City Limits (ACL) is a public television series that records and broadcasts original musical performances from exciting new talent and legendary artists of all genres. 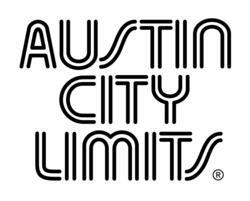 Austin City Limits is the longest-running music series in American television history and remains the only TV series to ever be awarded the National Medal of Arts. The historic KLRU Studio 6A, home to 36 years of ACL concerts, has been designated an official Rock & Roll Landmark. In 2011, ACL moved to the new venue ACL Live at The Moody Theater in downtown Austin. The show continues to air weekly on PBS stations nationwide and episodes are made available online. ACL is produced by KLRU-TV and funding is provided in part by AMD, Budweiser, the Austin Convention Center Department and its newest supporter, Dell. Additional funding is provided by the Friends of Austin City Limits. Learn more about Austin City Limits, programming and history at http://www.austincitylimits.org and follow us on Twitter, Facebook and our blog for up-to-date information.